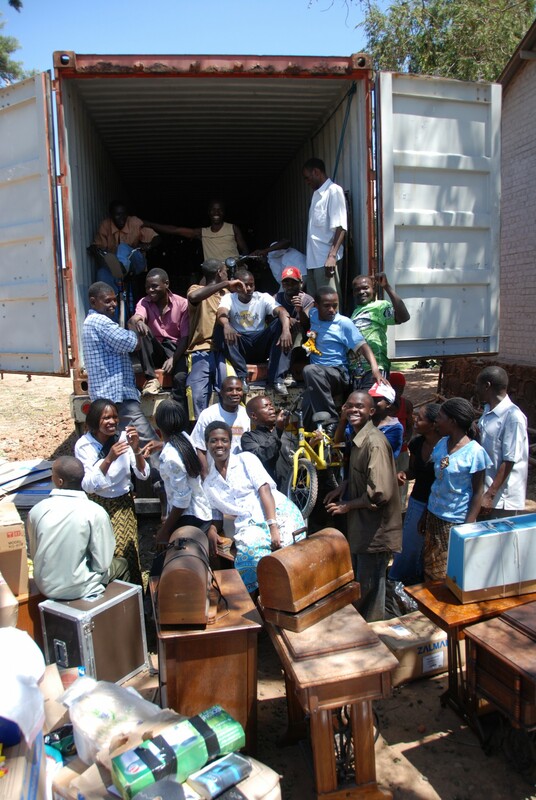 10 years ago, we shipped our first 40 foot container from the UK to Malawi. Filled with sewing machines and bicycles destined to start non-profit enterprises, that container was the start of something very special. 10 years later, thousands of local men and women (let’s be honest, mainly women!) have completed tailoring training and bought their donated sewing machines at the end of the course so they can start their own business- essential in Malawi where formal employment options are limited. This is the story of how 2 ladies met, had similar interests and turned their passion into a business and are now able to support their families. Dorothy Kwapata, aged 36 with 6 children, completed the shorter three month, informal tailoring course in August 2014 and found she had a talent for sewing, but did not know how to proceed in tailoring. To earn some money she started selling cucumbers near where she lived in Sigerege. Doris Mateyu, aged 23 with 2 children, finished her secondary school in form 4 but did not pass her school certificate and was looking for a course in sewing. 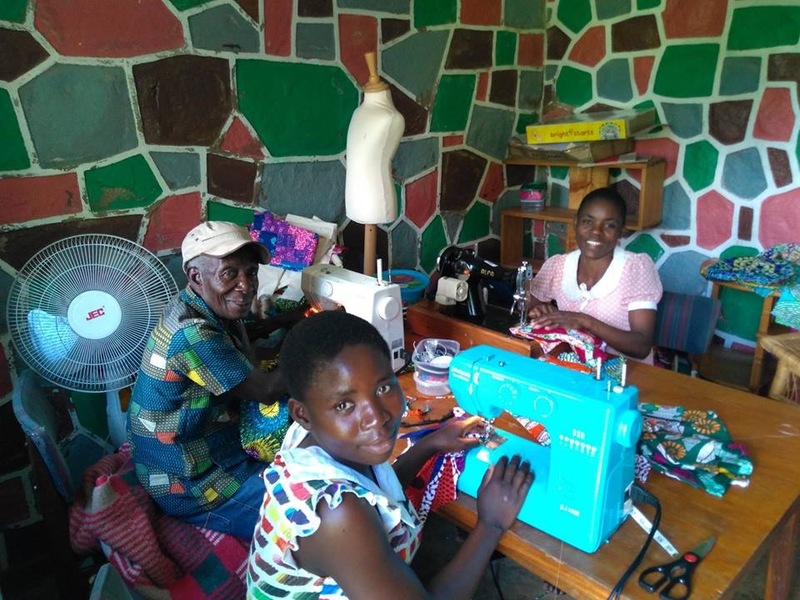 She heard about the courses in Chilomoni and In January 2015 Doris started training and at the end of the course was able to buy a sewing machine for 9000 Malawi Kwacha (about £9). Doris used to stop at Dorothy’s cucumber stall on her way home from the tailoring class to chat; especially about sewing, and they found out they both had a passion for creating children’s clothes. With support from a local philanthropist, plans began; a name chosen, fabric and haberdashery purchased and the business launched. Sanagala Kidz was born in September 2015. Doris and Dorothy work from patterns or their own designs. Doris and Dorothy realized they needed more sewing expertise and took on a rather unusual man. 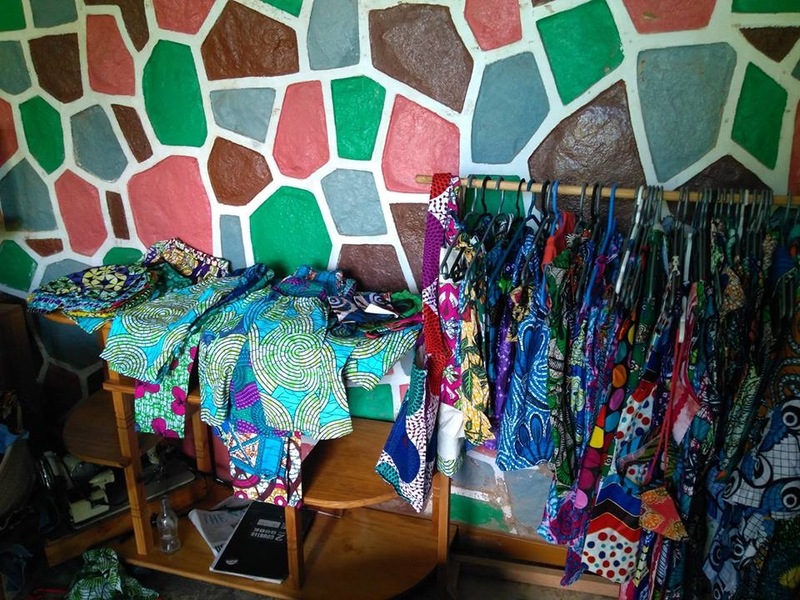 Stornard Jecke is 76 years old and an experienced sewing teacher who was happy to join the ladies and help them with the more difficult aspects of clothes making. He now works with Doris and Dorothy 3 days a week. To sell their work they go to local school fairs, have stalls at open days and markets. Word of mouth recommendations have resulted in other customers visiting them at their workshop. They both say running a business is challenging but with perseverance it has been successful. We are always grateful for the time and dedication given to us by our amazing international volunteers. Each placement in Malawi is for a minimum of six months; all of our volunteers are trained and experienced professionals who spend time helping to achieve tangible positive change at the same time as mentoring and sharing ideas with the growing Beehive team. It’s a genuine global effort of like minded folk working hard to end poverty. 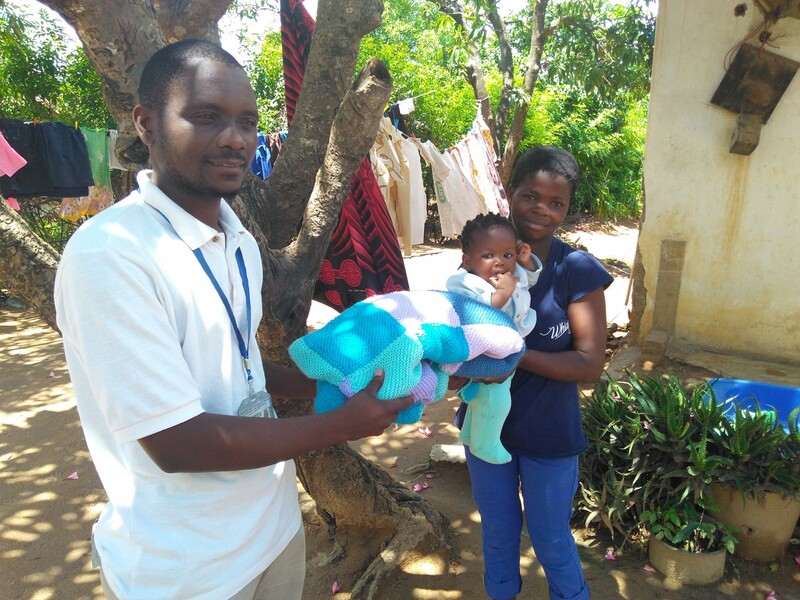 We loved reading this blog posted by one of our Health Visitor volunteers, please click here to read Ish Fawcett’s first hand account of her time in Malawi. The inaugural Way of the Cross trail race was held on 12 August 2017 at the Beehive Centre for Social Enterprise as part of the annual open day celebrations. The race started at the Beehive Campus in the Chilomoni suburb of Blantyre, Malawi and followed the iconic trail up the Michiru Mountain to the Cross which sits on the skyline ridge. This trail attracts Catholics and all those seeking a meditative experience who make the journey to the Cross passing the 12 Stations of the Cross. The idea was to offer Malawians an opportunity to complete in a running event as well as to promote the great work being undertaken at the Beehive Centre for Social Enterprise. A further ambition was to promote the environmental care of the mountain which has seen years of indiscriminate tree felling. Race entry was mk100 which purchased a tree seedling to be planted on the mountainside as part of the forestry recovery programme. The race route is a challenging 6km rocky trail that initially traverses the upper reaches of Chilomoni township before climbing steeply onto the switchback track to the summit ridge 300m above Chilomoni before plunging back down to the finish. 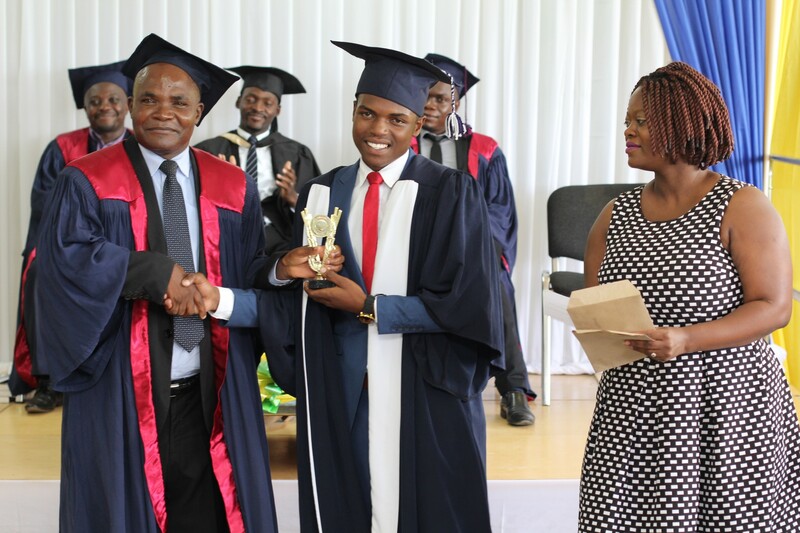 The Deputy Mayor for Blantyre Mr Joseph Makwinja presented the prizes kindly donated by local building merchants Deekay Suppliers, Bella hair products, Eversharp pens and Exide batteries. This race proved the enthusiasm that Malawians have to participate in competitive sport and running in particular. Beehive hope to ensure that this event becomes an annual event and that racing the “Way of the Cross” becomes a must do event for local residents along with visitors to Malawi. 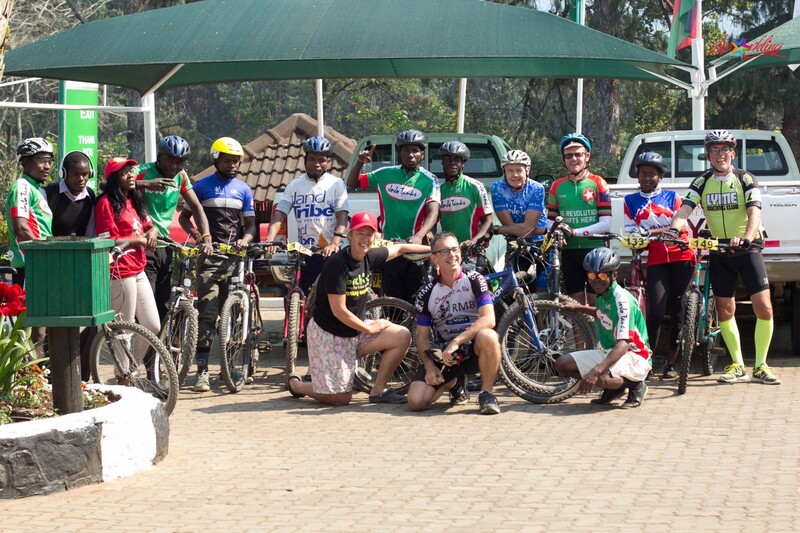 Round 5 of the Malawia Winter Mountain Bike Series. Awareness of mountain bike in Malawi is growing rapidly with much of the interest being driven by the inaugural 2017 Winter Mountain Bike Series. 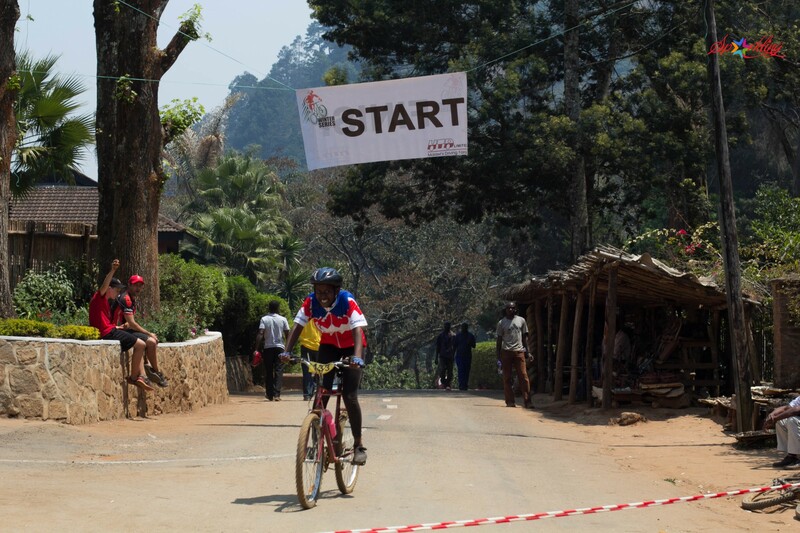 Each event had offered a unique challenge and a different perspective of the variety of mountain biking available in Malawi. Round 5 was held on the Zomba Plateau starting at the Ku Chawe, Sunbird Hotel. The design of the course provided an excellent conclusion to the season. The race attracted a record entry of 76 riders many of whom were local riders which is particularly important for the future growth of mountain biking. Strong team entries from Africycle and Beebikes added greatly to the field and will hopefully provide the catalyst to encourage even larger fields in future. The race format again offered a short (25km) and long (35km) route option. Organiser Paul Kennedy flagged the field away at 9am with an initial blast down a bumpy track before crossing the dam wall. Front riders had to hold their nerve and their line to ensure all riders stayed on track, fortunately with no crashes. A few strenuous climbs, minor mechanical mishaps and a puncture (Vasu) soon had the field spread out shortly before the long and short routes split up. The riders choosing the longer route were treated to a seemingly interminable climb up to the plateau at about 2000m above sea level. This section included a few technically rocky sections for which only the most committed were able to stay in the saddle. By this stage a few riders were no doubt wishing they had opted for the shorter route. Rule 5 however prevailed (see www.velomati). Once onto the plateau the route levelled out before riders were rewarded with snaking single track and bone shaking descents – mountain biking of the highest order. Paul’s choice of route ensured the race remained a challenge to the end with a tricky decent and very steep climb to the finish. Although the Africycles team managed to secure the first 2 places in the men short course race, Frankie and Grecian both rookie riders from Team Beehive were not far behind in 3rd and 4th place. In the women’s race 15 year old Chantel from Team Beebikes amazed everybody by racing to victory in the ladies’ short course event. Special mention must be made to the 8 novice rider from Team Beebikes for whom this was their first organised mountain bike event of any kind. All of whom not only finished but avoiding crashes and acquitting themselves with cool composure. Overall Team Beebikes had 12 finishers including Vince Owen and newly arrived Steve Rowley. Chantel the winner from team Beebikes! A big thanks must go to the sponsors HTD with whom the series would not happen and to the great excitement of those who remained for the prize giving when it was announced the sponsorship would continue for a further year. Finally well done Paul and the organising committee. Chapeau! Have a look at these fabulous photos from the recent Beehive open day, it looks like everyone had an amazing time, congratulations to all those who made this happy day possible! CLICK HERE TO SEE! 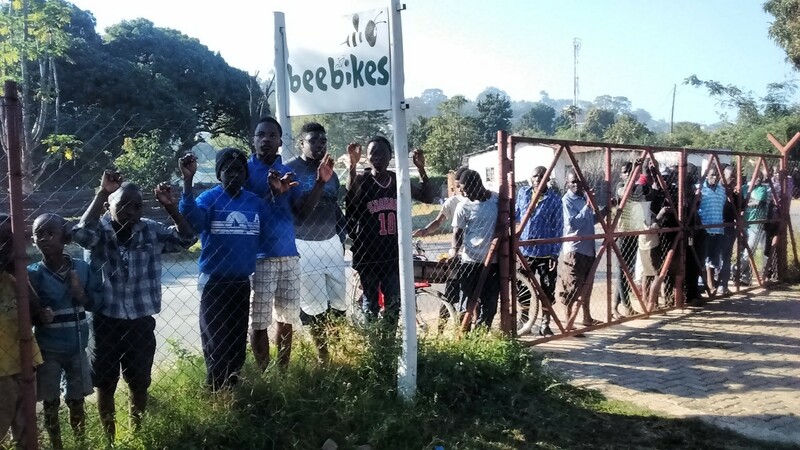 Beebikes is one of 10 enterprises in the Beehive Centre for Social Enterprise located in Chilomoni, Blantyre, Malawi. Malawi is one of the poorest countries in the world but ranks near the top of friendliest nations. The opportunity to work with the guys at Beebikes is a rare privilege. 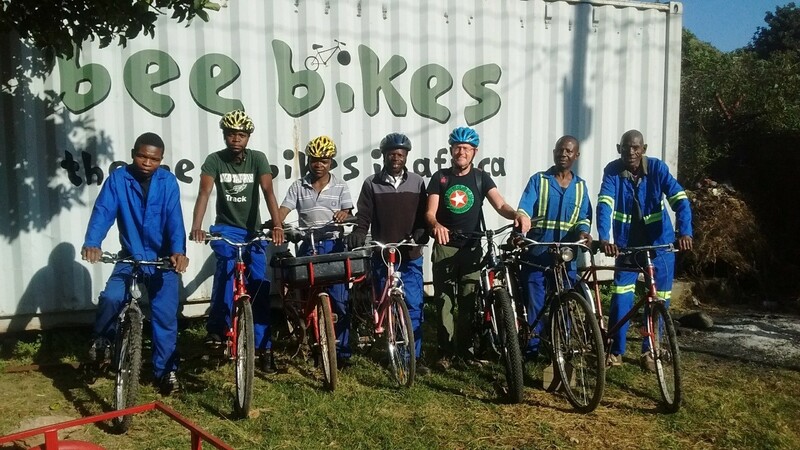 Beebikes refurbish the complete range of bicycles which are collected in the UK and sent via container to Blantyre. The arrival of a container with a selection of 300plus bikes is cause for significant excitement to the residents of Blantyre. The cycling stock is stored in containers in readiness for repair and sale. Customers will generally select a bike knowing that it may require a few days to fettle before being ridden away. Bikes may need to be combined to bring to full roadworthiness. 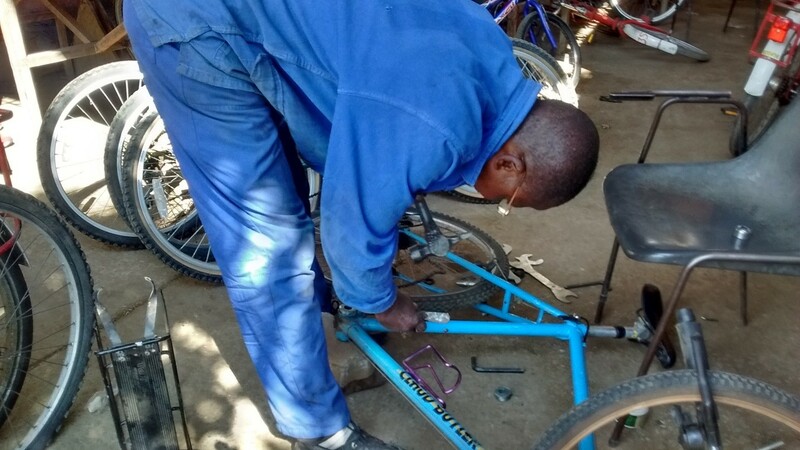 Access to spares is a constant battle for most Malawian riders. An increased supply is a matter that needs to be urgently addressed. Beebikes is staffed by 5 mechanics, Brasil, Clement, Gift, Massa and Mike, managed by Boniface. A happy lot, they are working with limited resources but a resourcefulness that keep the wheels turning. Work commences at 7.30am. Containers are opened up and a display stock is lined up to attract passing custom. Customers arrive throughout the day and they have an interesting bike selection criteria, such as saddle width or frame colour. In addition to the desperate shortage of spares, tools are also in limited supply and as cycling evolves towards increasing complex braking, gearing and suspension systems the mechanics are forced into more imaginative use of tools and spares. It is great to see what innovation arises from necessity. Gates are closed for an hour at 12noon on hearing the St James church bell toll. Lunch is usually a plate of Nsima, the Malawi staple, although supplemented from time to time with cassava, samosas or roasted grass hoppers if in season. 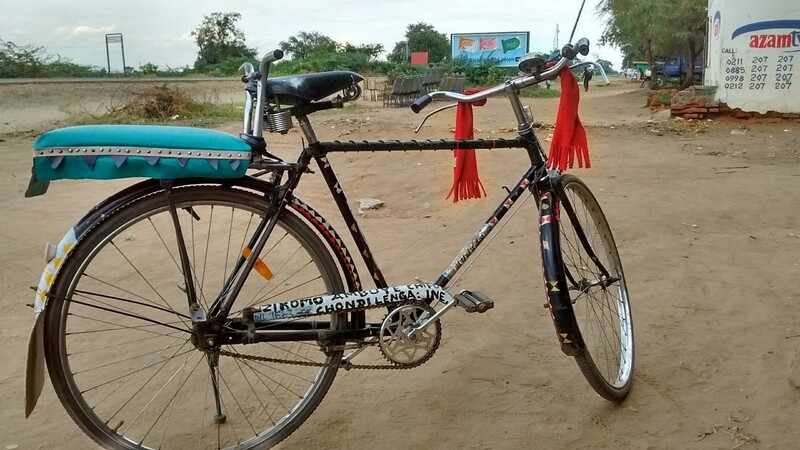 A result of the need to combine bikes is that a mountainous stock of cycle parts soon accumulates and in a country like Malawi where every object is precious, nothing is thrown away and the stock rapidly overwhelms the available storage. It is then time for the exceptionally popular ‘Bits and Pieces’ sale. 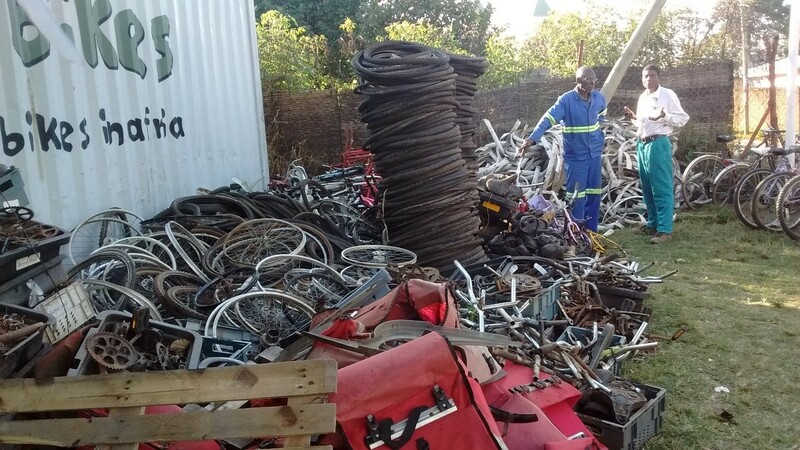 News via word of mouth, posters and facebook, spreads rapidly throughout the Chilomoni Township and into nearby Blantyre, sometimes even as far afield as Mozambique such is the demand for bargain spares. Home mechanics trawl the stock selecting many an item that would be totally discarded by a western cyclist. Recycling to cycle, something the western world sould learn a lot from. Within a few days delighted customers can be seen riding bikes that only recently had been abandoned as scrap. Malawi is a cash only economy and Beebikes is no exception. The largest denomination note in Malawi is 2000 kwacha ($3) and as bikes range in price between 50 000k and 100 000k, prospective customers must carry a huge wedge of notes to secure their purchase. (Imagine buying a car). 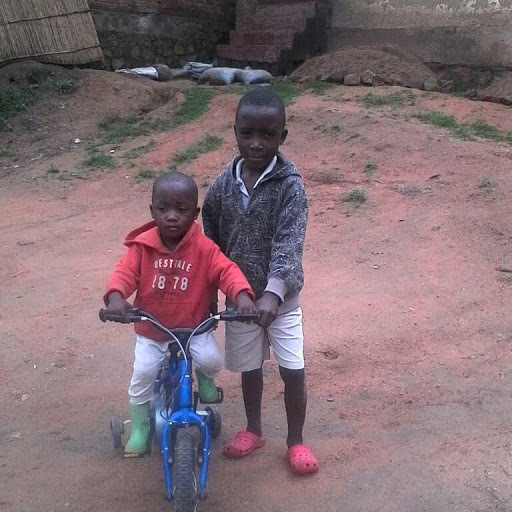 A far larger issue is the general level of poverty in Malawi which holds back many Malawians from purchasing a bike. 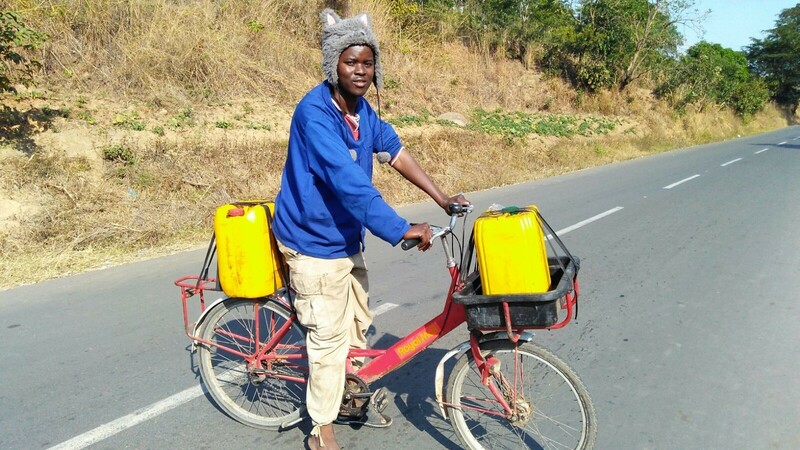 Alex Namagonya uses his Beebikes Mailstar bike to collect oil and eggs in bulk at Blantyre market to sell in Chilomoni. 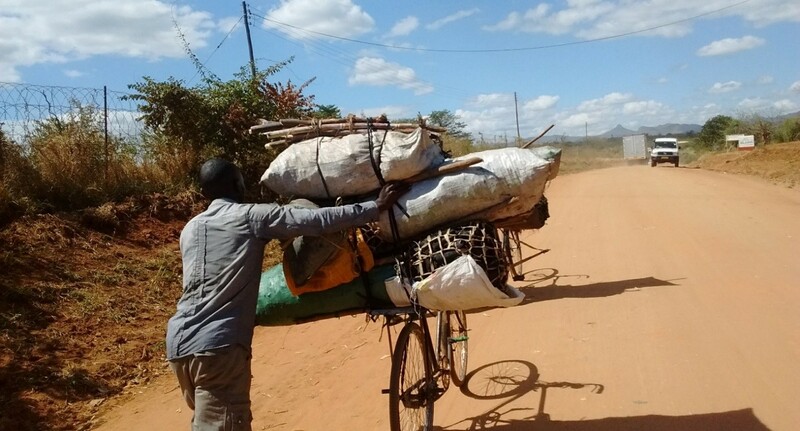 The mainstay of cycling in Malawi is its use as a means of transport. Taxi fares are relatively expensive and access to bikes makes an enormous difference to commuters and small business enterprises. At the most basic the bike operates as a glorified wheel barrow with downhill freewheeling potential. Most common charcoal sellers pushing up to 4 enormous bags of charcoal on one bike. Also around markets a common site is the taxi bike. 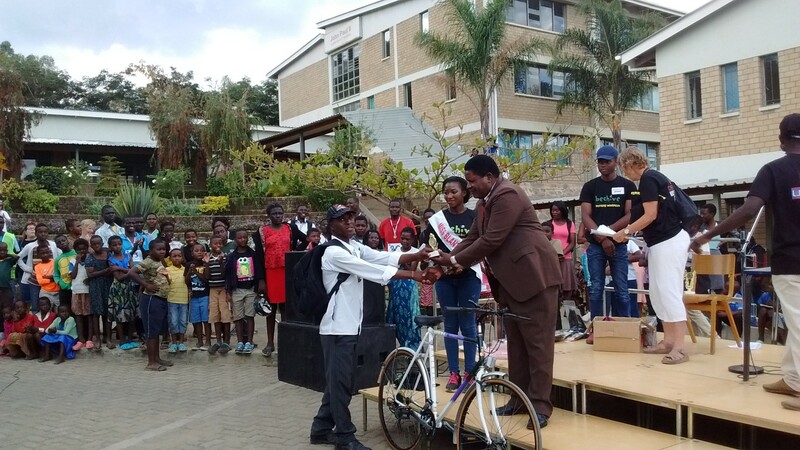 The demand for organizations like Beebikes to service the increasing demand for bikes in Malawi is certain to grow. Watch this space for lovely photos when we’re all settled in. Grateful thanks to Barratts for the generous donation of free warehouse space over the past four years, you’ve been amazing!